What a glorious month February has been, even up here in Caixas the daffodils are out. Let’s hope March will follow on with more Spring colour, longer days, the clocks changing………..and, if you scroll down past our monthly events, you will see that we have plenty of dates for your diaries, April is particularly busy! 5th March – Drop in to Pablo’s Bar in Céret for a coffee and a chat any time between 10.30am and 12 noon. No need to stop for long, just pop by! We will be there with some English books and a warm welcome! 17th March – With thanks to Mel and Fergal at the Café des Artistes, we will be at Laroque for our Book Exchange between 10.30am and 12 noon. Don’t forget – buy a drink and choose FREE books! 19th March – Come and join us at Lizzie’s Kitchen, Route de Prades, Ille-sur-Têt between 10am and 12 noon for a coffee and a chat in a relaxed atmosphere. Books, information and the new CSF bags with their smart bamboo handles will be available! Saturday 5th April – Grand Bal at Eus starting at 7pm with the wonderful band, Nostalgie, offering their services free. Raffle, bottle stall……….Any proceeds will be shared between CSF Sud and La Ligue contre le cancer. There is no entrance fee but numbers are limited to ensure that we keep within the fire regulations, so entrance is by ticket. Contact Maggie Longworth on maggie.longworth@gmail.com, Penny Parkinson on pennycsf66@gmail.com or Gill Harrison on gillharrison66@gmail.com to book your ticket NOW. Tuesday 15th April – we shall be having our annual get together at Les Delices de L’USAP. 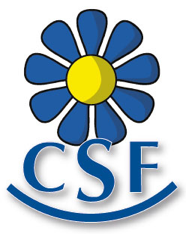 This is an oppportunity for members, supporters and others who want to know more about CSF and, in particular, CSF Sud de France, to get together, find out what happened last year and what is planned for the future. We will also be talking about steps you can take to “Be Prepared” both in France and UK to make life easier. There will be coffee and viennoiserie available from around 10am and the meeting will end with a convivial lunch at 12.30pm. To book a place now for lunch, contact Penny on pennycsf66@gmail.com. Wednesday 16th April – Come and share at the Seed and Plant exchange at Lizzie’s Kitchen at Ille, 10am to 12 noon. Get your garden ready for summer at no cost!!! Sunday 4th May and Sunday 18th May – we will have stands at the vide greniers at St Cyprien (4th) and Polygone Nord (18th). If you could help, please contact Penny on pennycsf66@gmail.com. Sunday 7th September – At Home at Caixas – another chance for our members to get together, this time in the informal setting of our garden. More details nearer the time, but DO mark the date. One of our members, Diana, has very kindly offered to take over the monthly round up of events and news from me. So DON’T be surprised when her name appears at the foot of the next e-mail! Please pass this on to anyone you know who may be interested in any of these events and for further information please contact me by e-mail on pennycsf66@gmail.com or by phone on 0468 388 128.